Meet Jarrod Reque, a self taught graphic designer and creative entrepreneur from Atlanta, Georgia. After attending Georgia Gwinnett College and Penn Foster for business, Jarrod worked his way to a management position at Coastal Industries, a shower door manufacturer – he spent 4 years with the company, and then he quit his job to start his own Shower Door Business. During the process of starting his business, Jarrod had trouble finding a graphic designer he could rely on to make him a logo – he decided he’d make his own. This was the beginning of a process that would lead Jarrod to a different type of business venture. Fast forward 3 years, Jarrod now runs a graphic design firm, Atlanta Design LLC. – and makes over $10,000 a month designing logos for small businesses and startups. Tell us about Atlanta Design, How did you come up with the idea? Jarrod Reque: Atlanta Design is a firm I started because I realized the era we live in. Every day more and more people quit their desk jobs to pursue their dream careers. I wanted to help people like this, because I can relate to the experience. A business is just an idea that you build on, the idea is the foundation – and a good logo is like laying the first brick of what will soon be something amazing. How did you promote Atlanta Design in the early days? Jarrod Reque: Word of mouth and Instagram. I designed a logo for a friend who started a used car dealership. Over time, his colleagues and customers contacted me and I had a solid reputation for designing logos and providing great customer service. Instagram really helped too, I would usually design 1-2 logos just for fun every day. Soon, people started messaging me to make logos for boutiques, clothing brands etc. Every possible type of industry, whether its creative, or provides goods and services – I have designed a logo for a business in it. How have you been able to grow your Business? Be Specific. Jarrod Reque: Marketing to the right customers. A Lot of people who are starting new companies don’t have websites yet. So I overcame that obstacle by joining Facebook groups that helped people build followings for their profiles and pages. This is where I ran headfirst into thousands of entrepreneurs who were willing to hire me to make them a logo. There were also a fair share of phony people who just had an idea, but weren’t driven enough to make a monetary investment in their business. It was really interesting to talk to these people. They think that they are magically going to get rich just by making a Facebook page and sitting back and doing nothing. Over time, you develop a good eye for spotting people like this, just by using common sense – and its best to avoid them at all costs. Teach us something we don’t know about. Jarrod Reque: Alright, ask and you shall receive. The Gestalt Principles of Grouping – Proximity, Similarity, Closure, Continuation, and Form… aka the secret to designing anything cool. These principles are elements I try and incorporate in my designs and I can attribute a lot of my success to utilizing them over and over. First off, the funny sounding name, Gestalt, is a psychology term which means “unified whole”. It refers to theories of visual perception developed by German psychologists in the 1920s. These theories attempt to describe how people tend to organize visual elements into groups or unified wholes when certain principles are applied. Basically, if you use these in the right way when making a logo – especially one that relies heavily on typography… You are making actual magic happen in the form of graphic design. Closure occurs when an object is incomplete or a space is not completely enclosed. If enough of the shape is indicated, people perceive the whole by filling in the missing information. Form or Figure and Ground, is when the eye differentiates an object form its surrounding area. a form, silhouette, or shape is naturally perceived as figure (object), while the surrounding area is perceived as ground (background). Balancing figure and ground can make the perceived image more clear. Using unusual figure/ground relationships can add interest and subtlety to an image. These principles are vital to what I do for a living because of Structural information theory. Which is quite interesting when you get into the scope of it. Structural information theory, or SIT, is a theory about human perception and in particular about visual perceptual organization, which is the neuro cognitive process that enables us to perceive scenes as structured wholes consisting of objects arranged in space. If I haven’t lost you this far in the lecture, this will probably be the straw that broke the camel’s back. SIT began as a quantitative model of visual pattern classification. Nowadays, it includes quantitative models of symmetry perception and amodal completion, and is theoretically sustained by a perceptually adequate formalization of visual regularity, a quantitative account of viewpoint dependencies, and a powerful form of neural computation. SIT has been argued to be the best defined and most successful extension of the principles I listed above. By constantly trying to understand, and master Structural information theory – my design’s have gotten significantly better, and is part of the reason I am making more money at what I do. Jarrod Reque: I’ve read a lot of good books, but the only one that I could consider as the best book i’ve ever read is called On the Aesthetic Education of Man by Friedrich Schiller. To the average person, it may be kind of boring, but I feel it has is something that many people my age, in today’s culture should read. Schiller observes that people cannot transcend their circumstances without education. The book conceives art as the vehicle of education, and that one can liberate individuals from the constraints and excesses of either pure nature or pure mind. Through aesthetic experience, he asserts, people can reconcile the inner antagonism between sense and intellect, nature and reason. Where do you see yourself and your product in a couple years? What’s your dream? Jarrod Reque: Well, first off – I’d like to have established a platform for businesses to have their brand indexed, completely. For instance, Coca-Cola would have a profile that listed their company colors, their different logos over time, and their various themes that they have used in branding themselves as a business, typography used in the logo, elements used in advertising etc. I think this sort of universal index would be great for startups to learn what works and what things to focus on in specific industrial markets. Something like this would give them an opportunity to list their own branding strategy as well. Example: I google “Joe’s Roofing in Atlanta, GA” and the first thing that pops up is his brand profile, showing his logo, listing his hexadecimal colors in the brand, shapes, icons and whatever else they use. Think Wikipedia, but for aesthetics. I think this type of platform will be very important in the future because of the saturation of so many different markets. It could help a start-up company avoid looking like a competitor, and possibly being confused with a different business. My Dream is a simple one. Live long and make tons of money. Not just tons of money for myself, but for other people too. There is nothing I enjoy more than seeing someone start a business, and then becoming successful. When I make a logo for a company, i’m attached to it forever. For better or for worse, whether it is successful or not. I want to see people become independent business owners who think outside the box and enjoy what they do. When my customers succeed, so do I – and that’s what I love most about the business i’m in. Making money, by helping others make money. Atlanta Design, LLC. is a Graphic Design firm in Atlanta, Georgia. Source Future Sharks Atlanta Design LLC. 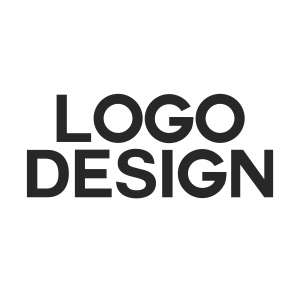 We are a Graphic Design firm that has designed hundred's of Logo's for Businesses all over the Metro-Atlanta area and across the United States. Our work is Professionally crafted with the most cutting edge applications and programs available in the design industry. We have designed Logo's for almost every Industry, Occasion and Occupation Imaginable. We are always up to date and familiar with current design trends - and have an extensive library of image asset's available to use at our disposal. All of our digital asset's are protected by Copyright, including our collection of over 5,000 typefaces.